Asia is the most enviable destination for tourists and honeymooners. There are like hundreds of places in south East Asia that are pleasing and popular. Form which Bali is known for its unique natural beauties and wonders that has been captivating tourists from around the world. From the many islands in Indonesia, Bali gets more attention because it houses many tropical landscapes and beautiful beach fronts. Bali has a wide range of accommodation for different tourists, no matter if you are in this region for honeymoon or you are a solo traveller, this place has every conceivable setup to make your vacation worth remembering. From many star hotels to best villas, you can choose one to stay and make your vacation better. Though hotels are chose by everyone and overrated, people who are in Bali for fun and not for work should always go for a villa. Villas offer more privacy, independence and option to stay the way you people want. Let’s take a look at the top 5 best villas in Bali. This is situated at the bottom of Jalan Petitenget and the most beautiful villa that people can hire to make their stay luxurious. This villa has a huge private pool, where you will be served with delicious breakfast if you want. The staffs are very efficient and down to earth. 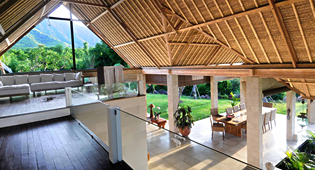 Jeda villa is the most desired villa in Bali, certainly due to its service and hospitable staffs. This villa houses many private swimming pools where you can enjoy with your loved ones without any limit. In case you are going with your family and kids then this villa has every arrangement for safety and fun. This villa has earned its name as the most romantic villa because the place it is situated. If you are going to Bali with your girlfriend or wife, then this villa should be your first choice. 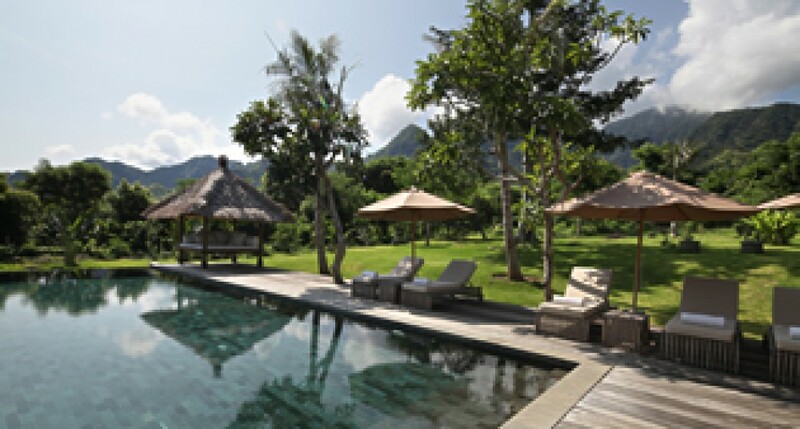 Though there are many other villas like Jeda Villa that offer the same atmosphere, but Istana is different from all. Space villa is situated i the most suitable place of the town, which is Jalan Drupadi. From this place you find way to many important landmarks of Bali. Other than that, this villa has best bedrooms, large pool and humbles staffs to serve you around the clock. Surrounded by paddy fields, lavish Puri Bawana still has its roots in the Balinese rural area. Situated in the Canggu region, north of Seminyak, it houses with 12 staff including a distinguished chef and security guards to protect you from preying eyes. Though several villas are there in Bali, which makes it easy for your accommodation in this region, Jeda Villa is considered as the best according the customer reviews and better setup as compared to other villas. What can be the best way for enjoying a month in Bali while having your friends and family members on an exploration trip to ocean waters of Pemuteran village in North Bali? One may find hotel rooms at reasonable rates but enjoying your vacations in private villas North Bali can be a unique experience. Taking a private villa on rent can be a royal experience. You will be enjoying all facilities and amenities in these villas that one can expect only in world class five star hotels. However, renting a whole villa has its own advantages over keeping your family members and children in a small hotel room. Children enjoy having open space to run and play and have some time away from their parents. It may not be suitable while living in a populated hotel where you will have to keep a proper look on your children. Having a whole villa with its garden, swimming pools, terraces and other facilities completely devoted for you and your children’s fun activities will be much better option. Furthermore, these beautiful villas are available at reasonable rates. These villas are specifically designed to provide maximum possible comfort and serenity for tourists. One may also arrange for proper home and kitchen help to enjoy more comfort. One can enjoy more time and beautiful moments in a safer manner with their family members and friends in a villa on rent. Furthermore, you will also enjoy various specific services while enjoying your holidays in a private house in Bali.